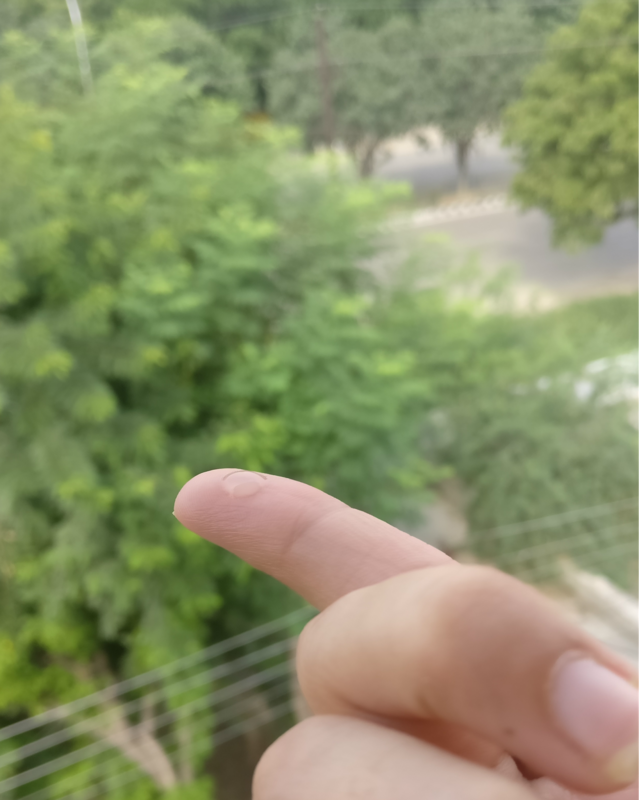 Delhi winters have no effect on my skin and you know why? Because I give it all the nourishment it requires. from washing to face massaging I do it all. In the process, I tend to use so many products. I believe using less of cosmetics is what keeps you looking young till your 80s but seeing the harsh environmental conditions- the pollution, smog, dust and what not! We need to give it some shield so that it can stay protected for long. But before we proceed, let's have a small know about serums. A serum is a skincare product you can apply to your skin after cleansing but before moisturizing with the intent of delivering powerful ingredients directly into the skin. It penetrates deeply into the skin. This makes them a great tool for targeting specific skincare concerns, like wrinkles. 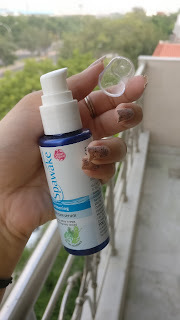 My first ever serum was Raw Rituals for ACNE and I loved the experience so much that it left me with no other options than to buy another serum but this time SPAWAKE. Preventing excessive accumulation of melanin on the skin's surface. Hydrating skin that has been damaged by environmental exposures. 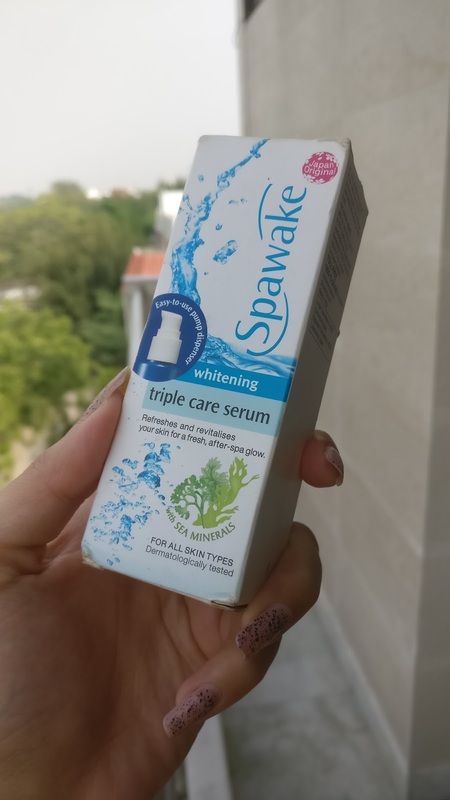 It is a 'whitening' face serum. 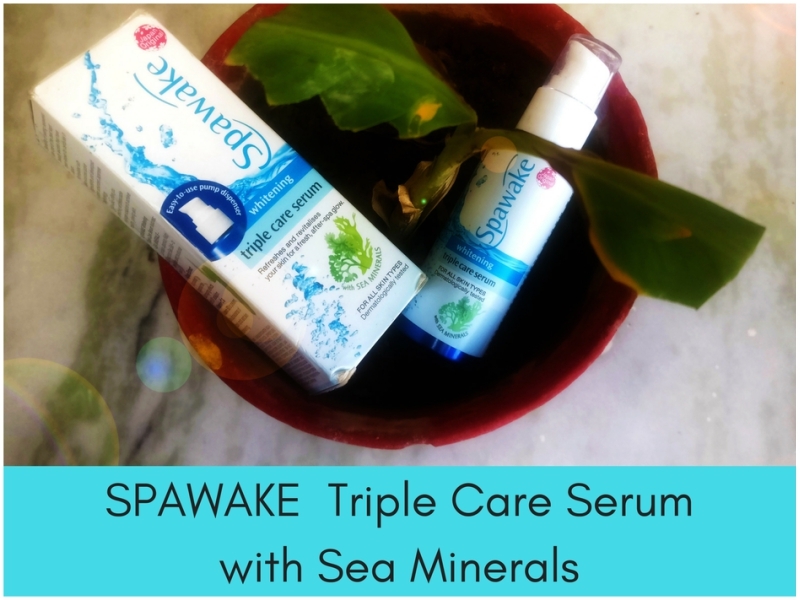 Sea Minerals Laminaria Japonica (kelp) extract and Sea Salt to revitalize and moisturize skin. Algae Extract to protect against the damaging effects of UV radiation. Vitamin C & B3 to prevent the appearance of dark spots and skin darkening. 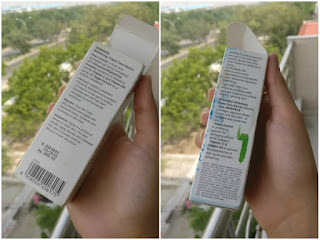 1-2 Pumps is sufficient for face and neck area. Skin feels smooth and hydrated. 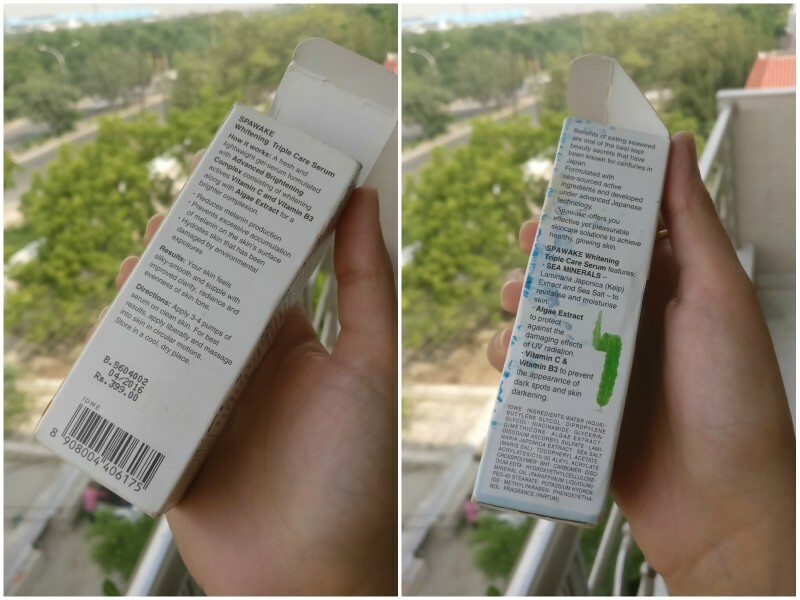 Contains Methyl Paraben. Parabens can be eliminated. 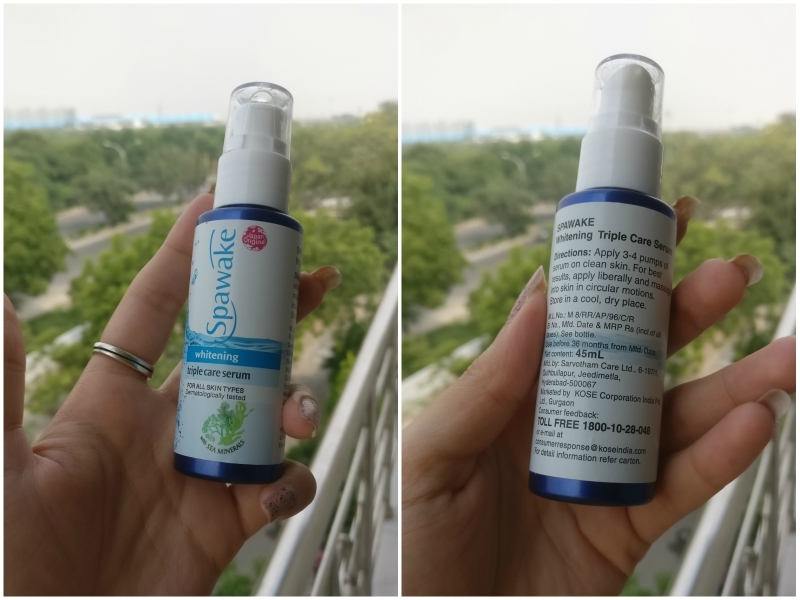 Rs 399/- for 45 ml bottle. Though it says it is a 'whitening' serum I did not get this for this purpose but because I was intrigued by the Japanese and Korean beauty secrets and this product is formulated with sea-sourced active ingredients and developed under Japanese technology. I had read a few reviews about it and found it to be worthy enough to give it a try! I apply it after washing my face and Apart from slightly greasy tinge for a few seconds, it gives no other reason to not to choose it. The face feels happy and full. It refreshes your face for a few hours. I would definitely recommend it to you. My face feels good after the application and it surely stands up for what it claims. Overall it is a good buy!